A solar power system – tailored to your needs – helps reduce your electricity costs. At Austec Electrical, we are passionate about renewable energy and its positive impact on the environment. With extended periods of sunshine, Perth has all the ingredients to be the perfect candidate for solar energy and your pockets. Renewable Energy Systems are the only appliance you buy for your home and business that if designed and installed properly pays itself off within 3-6 years, continues to pay a dividend for up to an additional 19-20 years by doing the planet a favour and using an infinite resource we just waste called the sun , it allows you to thumb your nose at the power companies every time they increase their electricity charges. 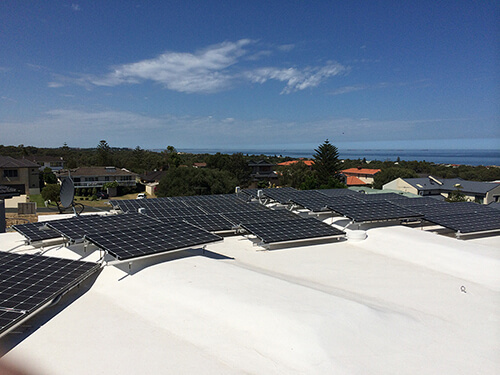 With extended periods of sunshine, Perth has all the ingredients to be the perfect candidate for solar energy. Many renewable energy solutions are difficult to get on board at a local level, but solar energy can be installed almost anywhere with good exposure to the sun, including rooftops or alongside even the smallest property. 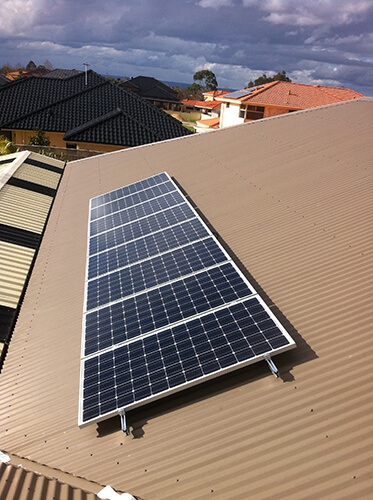 Contact your local solar energy specialist at Austec Electrical to find out more about solar installation. Energy security & reliability – – if you include batteries it eliminates restrictions or blackouts during heat waves. Austec Electrical believes in providing competitive priced solar power solutions from award winning manufacturers. A Solar cell is used to power calculators and watches to convert sunlight into electricity. It is made of semi-conducting materials similar to those used in computer chips. When sunlight is absorbed by these materials, the solar energy thumps electrons free from their atoms, allowing the electrons to flow through the material to produce electricity. The method of converting photons (light) to voltage (electricity) is called the photovoltaic (PV) effect. Solar storage batteries are an essential component of any home or commercial solar power system. Just like the cars battery, they store electricity generated by solar panels or wind turbines for periods when there isn’t sufficient sun or wind to generate electricity for immediate use. This can be purchased from Austec Electrical as part of one of our kits or if you need a replacement for your current system. Solar panel electricity systems, also known as solar photovoltaic (PV), arrest the sun’s energy using photovoltaic cells. The beauty of this system is that these cells don’t need direct sunlight to operate – some electricity is still generated on a cloudy day. The sunlight is converted by the cells into electricity, which can be utilised to path household appliances and lighting. A grid-connected photovoltaic power system or grid-connected PV power system is connected to the utility grid. 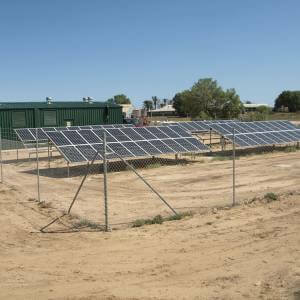 It consists of solar panels, one or more inverters, a power conditioning unit and grid connection equipment. The range is from small residential and commercial rooftop systems to large utility-scale solar power stations. When conditions are right, the grid-connected PV system supplies the excess power, beyond consumption by the connected load, to the utility grid thus creating a ‘double’ saving to the household supplier of electricity. To ensure access to electricity at all times an off-grid solar system (off-the-grid, standalone) is the obvious choice to one that is grid-tied. The downside however is that off-grid solar systems require battery storage and a backup generator. A hybrid solar system is the convenience of a grid connected system — including the ability to earn Feed-In to the grid credits. The extra peace of mind is a battery back-up during a power blackout where you will still have electricity supply. Solar Panels Not Performing ?